The only airport in Taiyuan is Taiyuan Wusu International Airport, which handles both domestic and international flights. It’s about 15 Kilometers from the city center and is easily reached by taxi (which should cost about 40 Yuan from the city center), taking bus number 201, or the shuttle which makes several stops in the city. In Taiyuan there are two train stations: Taiyuan Railway Station (太原站）and Taiyan South Railway Station (太原南站). Taiyuan Railway Station is in the Yingze district, near the city center and reachable by taxi for about 10 Yuan in 10 minutes, or on buses 1, 10, 21, 10, 308, 618, 804, 848, 866 (Railway Station stop, 火车站). From here there are departures of slow trains to many destinations throughout China. Taiyuan South Railway Station is located in the Xiaodian district and from here many high speed trains depart, including those for Beijing, Xi’an, and Pingyao (which takes only about half an hour). You can get to the station via buses 51, 807, 813, 824, 849, 861, 868, 901 and 902 getting off at the South Railway Station (火车南站) stop. Taiyuan’s metro system is presently under construction, and will likely become active in the next few years. You can get (and recharge) public transportation cards (公交IC卡) in authorized stores, leaving a deposit that will be returned when you turn the card back in. This card will give you a discount on the base price of tickets (which is halved). At special offices you can also enable (with another security deposit) a service that will allow you to use public bicycles found in every corner of the city at a price of 1 Yuan an hour, after the free first hour. Not yet having a working metro system, the bus service in Taiyuan is rather efficient and connects the city well. The cost of an urban ticket is 1 Yuan, while for an extra-urban band it can go up to 4 Yuan. You buy your tickets when you get on the bus. Taxis are a very convenient way for getting around the city, both for their low prices and the ease of finding one (with the exception of rainy days when getting a taxi is a more difficult undertaking). The vehicles, once red and dilapidated are gradually being replaced. Almost all vehicles in fact are blue electric cars, with a base daytime rate of 8 Yuan (8.6 for nighttime). Taiyuan has a semi-arid climate. Winters are cold and very dry, and temperatures often get to 10 degrees below zero in January. Autumn is dry, but with milder temperatures, making it in an excellent time to visit the city. Summers are hot and also the time when the rains come, often without notice and very strong. In Spring the weather is nicer but still dry. During this time you can observe the trees of the city in bloom, as well as the occasional sand or dust storm that renders the sky a yellow-gray color. Though the city has become more international in recent years, the presence of foreign citizens is extremely low. The majority of taverns and restaurants are found near the intersection of Changfeng Street and Pingyang Road. Here you’ll find shopping centers, restaurants, pubs and discos. The city center, which corresponds with Liuxiang Road, is also characterized by the presence of shopping centers and international restaurants. 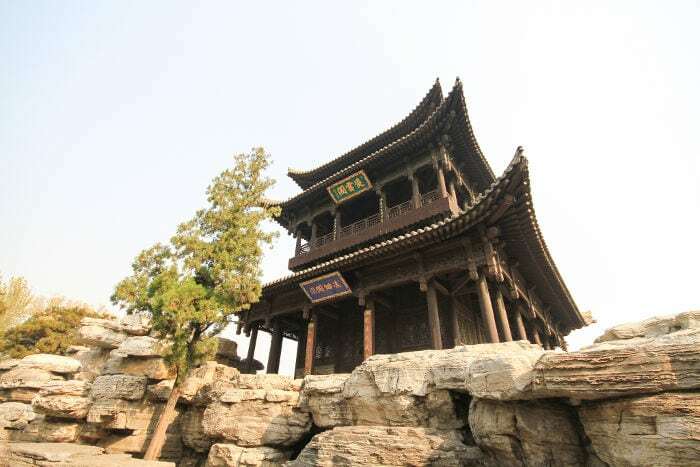 Jinci Temple (晋祠寺) is the main attraction of the region and is located about 25 kilometers southeast of Taiyuan. This is an ancient ancestral temple made up of many halls, pavilions, bridges surrounded by gardens. 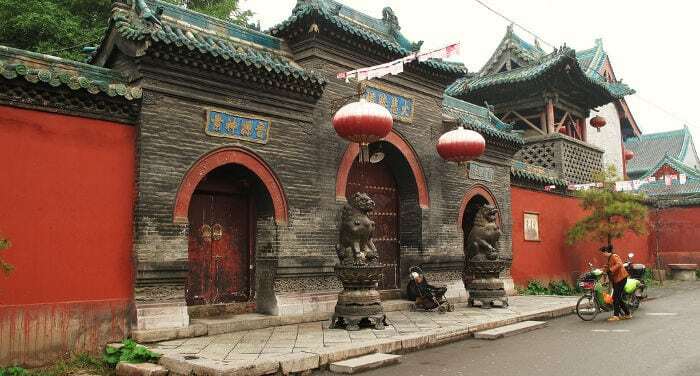 The Temple of the Twin Pagodas (双塔寺) is found in the Yingze district and is known, as the name suggests, for the pair of octagonal pagodas that define it. Meng Mountain is famous for its Giant Buddha (蒙山大佛). After a walk through the mountain paths you can admire this enormous statue of Buddha carved into the stone. Located in Yingze district, in the city center, Yingze Park (迎泽公园) is a refuge from city traffic. Here you can admire the Chinese as they sing, dance, or play musical instruments. Besides walking under the trees you can also rent a boat to take a tour of the lake inside the park. Fen River (汾河) crosses the city of Taiyuan, and you can stroll along its banks or go jogging without being disturbed by cars and bicycles, which do not have access to this area. 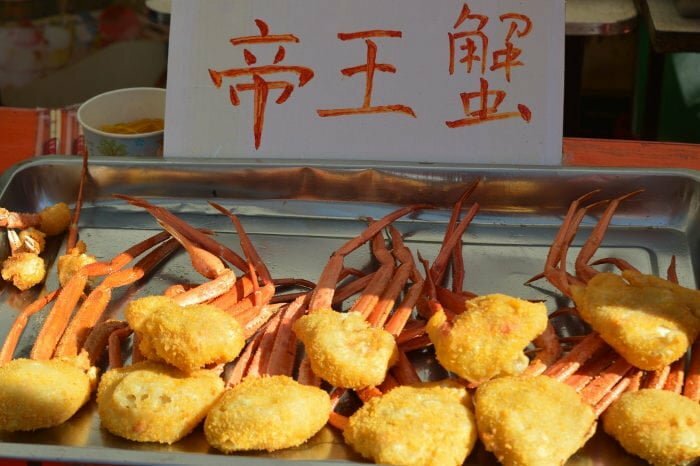 In Yingze district, very close to central Liuxiang Road, you can taste local delicacies along the street of foods (食品街), which has greater atmosphere at night with its lights and crowds of people coming for dinner. On Binhe Bei Road there’s the Shanxi Museum (山西省博物馆), where you can lose yourself in the history of the province’s rich culture. Health services in China require payment, and for this reason it is strongly recommended that you take out medical insurance before leaving. The following is a list of Chinese hospitals where you can receive medical services, but don’t count on English as a means of communication (source: www.cina.org.cn). If you want your child to go to school in China, the first decision to make concerns the type of institute in which to enroll them. Your choices are: international schools (the most expensive), private schools (less expensive than international schools), and public schools (free). There aren’t many international schools in Taiyuan, with the exception of a few private schools where English is taught. Among the public institutes there’s the Taiyuan Foreign Language School, known for it’s teaching of foreign languages. Founded in 1941, it offers a vast gamut of courses including its well-known course in engineer (especially mechanical engineering). An institute founded in 1919, its principal materials are clearly centered around the medical field. The predecessor of this institute was founded in 1978, and since then it has always centered on medicine with particular attention given to the field of traditional Chinese medicine. Founded in 1902 as Shanxi Grand School, it covers a wide array of subjects, varying from economics to literature and the sciences. Founded in 1951, its focus is primarily the study of economy and finance, to which they are adding new specializations such as management, law, literary arts, science, engineering and teaching. Three proceeding schools (Normal College of Shanxi University, Taiyuan Teachers Training College and Shanxi Educational Institute) brought about the current Taiyuan Normal University, which was approved by the ministry of education in 1999. It’s main subjects: economics, law, education, literature, history, engineering, management, science and the arts. The Taiyuan University of Science and Technology sprung from the Shanxi Machinery School, founded in 1952. Among its various courses, mechanical engineering and material of a scientific bend stand out. The origins of this school go back to 1902, with the institution of the Western Learning School of National Shanxi Grand Academy. The main subjects of study are engineering and science, but this university boasts many other departments in various fields such as art, language and economics. Finding international products in Taiyuan is not always easy, especially when it comes to fresh products. In the city it is however possible to find several large supermarket chains and even little shops that sell imported goods. Below is a list of the main ones. Address: they are literally spread throughout the city but their selection of international products isn’t always very good. To convert your student or work visa into a permission of residence, you’ll need to subject yourself to a series of medical exams with this agency. On eChinaCities you can find entertainment and events for expats. Any Indian restaurants in Taiyuan ? Hi Georgia do you have any advice on where to buy prescription glasses in Taiyuan? I have a friend living there who needs a new pair and is finding it difficult to get a good price. The place she has found wants to charge the same price as she’d pay in the UK which seems rather too much compared to prices in Beijing. Hi Linda! Sorry, but I can’t help you because I never looked for prescription glasses in taiyuan. I’m sure someone in the expat community can help you, just ask around or go to some big shopping malls where prices are fixed. Enjoy taiyuan! Nice written.I need a advice as,i am from Pakistan and got an admission in taiyuan university of Technology. Firstly, i need to know is that, Is life there is easy and i will gona enjoy or not Secondly,tell me that i this is a good decision to do master from there. thirdly how much is the cost of living is there? Great post! It was really helpful ! I really wish to visit 八泉峽(eight spring gorge) near Changzhi.. I seems like Taiyuan is nearest big city of Pingyao. 1. As I have short time, Would I be able to find Taxi from Taiyaun to Changzhi? 2.Would there be “tour program”s to 八泉峽(eight spring gorge) from Taiyuan? 3.Is yellow dust and fine dust severe there? I searched for quite long time but couldn’t find suitable answer…maybe because I couldn’t speak Chinese..
And sorry for ask8ng something not so relevant to this post.. thought this is the closest post on this website.. Thanks for reading and will look forward to your reply! 1,2 I’m not sure you can get a English speaking tour there, but you can get a taxi to go there an wait you to come back, the most easy way is that you ask at the hotel you are staying. For one day transport it should be around 400 to 600 Yuan. I go to this Town every year as it’s my wife’s hometown. I am an American . They did have an English tour guide at the museum in town the one time we went in. But you could tell she was very out of practice. All signage is also in English. I speak elementary level Mandarin . But in this town almost no one speaks Mandarin. The locals speak a hometown language that sounds nothing like reqular Chinese. However they will be able to understand you if you speak Chinese. Also you can use a translation program that they can read. The locals are very Foreigner friendly. I walk around here by myself to give my wife a break from translating without any issues day and nightime. Hi Giorgia. I was very happy to read this info! I have recently arrived in Taiyuan and don’t know much about it. I now know a LOT more! I am excited to try out the supermarkets, sightseeing and pubs listed here. I’ve tried to find online expat communities but the ones I find, (and I haven’t found many), are at least 5 years old. Thanks for all the helpful information. I’m sure I will use it frequently. Hi Dave, I hope you’re having a great time here! The expat community here is small, but there are a few wechat groups. I guess I’ll see you around! You can attend chinese classes in most of the universities in town. Yes, I’m still here. The city is fine, but the pollution is quite bad. You can find informations about what is better district to live in the article.